Honey In The Hive features talented young fiddler Romy Munkres on fiddle and flute; her brother Ben Munkres on piano, mandolin and melodica; Andrew Munkres on 5-string banjo, guitar and vocals; and Kristin Bolton on bass, fiddle and vocals. Romy and Ben were featured performers at the 2018 New World Festival. 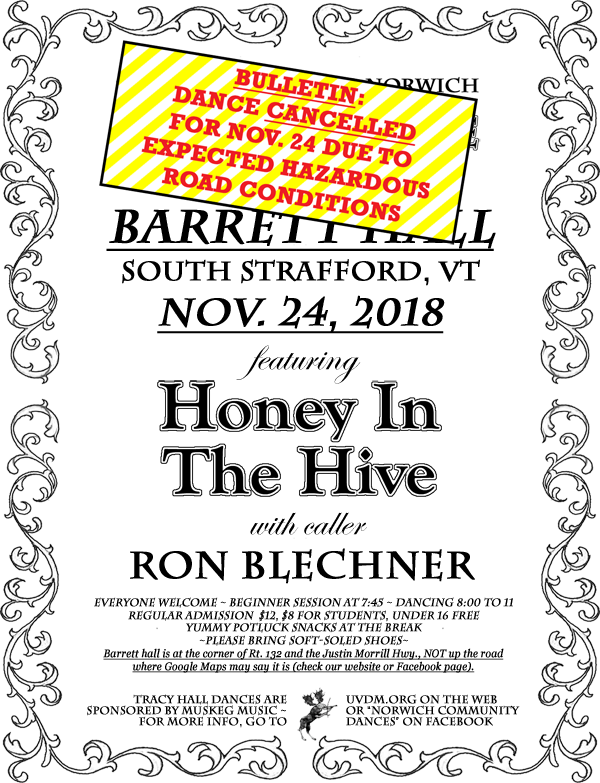 Caller Ron Blechner has set feet moving at dances all over the Northeast, including gigs at NEFFA, the Brattleboro Dawn Dance, and the Down East Folk Festival.